At the end of each year it is difficult to avoid the great range of lists of all kinds of bests, and I hardly dare to even mention them here. In 2014 the Archaeological Institute of America gave an 2015 AIA Award for Outstanding Work in Digital archaeology to Charles E. Jones and his blog The Ancient World Online (AWOL) to honour his “work on open access material relation to the ancient world, serving archaeological information to more than 1.1 million unique visitors to the site since its inception in 2009”. AWOL needs no laurels, but this praise is certainly justified. One of the latest messages at AWOL in 2015 concerns scholarly journals in open access dealing with ancient law. On December 29, 2015 Charles Jones listed eighteen online journals which specifically deal with some field of legal history in classical Antiquity, and he challenges readers to find and report more journals. A number of these journals figure here in my blog roll, and thus I was immediately interested in checking this list. At AWOL is a list with now nearly 1,600 scholarly journals available in open access for the vast territories of the ancient world. Is this selection of journals touching legal history indeed complete? This post will look at some answers to this question. Indeed I was so eager to publish it that I somehow had posted it with a wrong date, a year ahead. Lists can have uncanny powers. They might seem to offer everything available or they bring the best possible selection. A good list can enhance the authority of its author, and users of such lists feel comfortable with the knowledge of such lists. Thus it can feel awkward to question a list at all for its qualities, but in my view there is just one way to find about both the positive and negative sides of a list, and that it is by checking each item. This simple approach proved to be rewarding and revealing. The international character of the list is remarkable. In most fields within Classical Studies the number of journals with English titles is impressive, but they do not outnumber journals in other languages. However, for legal history you will find in this list just two journals with an English title, Roman Legal Tradition, published online since its start in 2002 and edited at Glasgow, and The Journal of Juristic Papyrology, published since 1946 at Warsaw. I did wonder about the presence of other relevant journals with English titles, and thus I quickly checked among the titles of the main list of journals at AWOL. Two titles seemed worthy of inclusion, the Ancient Greek Law eJournal and the Ancient Roman Law eJournal, but they turned out to be something else, a quick reference point for recent research published at SSRN, the Social Sciences Research Network. Both e-journals bring together papers to be published or already published on either Greek or Roman law in other legal journals. The two selections show how both fields currently can appear outside the province of legal history: nine publications for ancient Greek law, and five for Roman law, mainly in American law journals. A third title does not refer to a scholarly journal, but to the reports of the Hellenic Society for Law and Archaeology, where the laws in question are obviously laws touching upon cultural heritage. I cannot figure why PoLAR: The Political and Legal Anthropology Review figures at all at AWOL, in particular because only few issues are available in open access. Anyway, for good reasons these three journals were not deemed fit for inclusion in the new list of journals dealing with ancient legal history. Two German titles in the list made me very curious because they did not seem to be current journals anymore. The Jahrbücher für historische und dogmatische Bearbeitung des römischen Rechts appeared three times between 1841 and 1844. The brothers Wilhelm and Karl Sell launched their journal from Zürich and Bonn. The second journal, Themis. Zeitschrift für Doctrin und Praxis des römischen Rechts, appeared in two short series between 1828 and 1848, the first series in 1828 and 1830, the second from 1838 until 1848. This journal was the idea of Christian Friedrich Elvers from Rostock. The subtitle of the first series was Zeitschrift für praktische Rechtswissenschaft, only the second series mentioned Roman law. Elvers filled the pages of his journal in particular in the second series mainly with his own contributions. In 1841 Elvers had become a judge at Kassel, and this move probably influenced his activities for the journal. Both journals have been digitized at the Max-Planck-Institut für europäische Rechtsgeschichte in Frankfurt am Main. In my view it is one of the characteristics of the study of Roman law in nineteenth-century Germany that articles and book reviews appeared not just in the journals devoted to legal history, but also in the profusion of general law journals. Such statements can be checked readily thanks to the massive digitization at Frankfurt am Main of relevant journals published between 1800 and 1918. Just for the record, I did look also at the sister project for eighteenth-century journals (Zeitschriften 1703-1830), but in this set Roman law was not used in any title. In 2011 I wrote here about digitization projects for old legal journals and also about projects for creating online access to current journals in the field of legal history. At this point we still have sixteen journals correctly included in Jones’ list, and an implicit conclusion from the last paragraph should help me proceeding here. In a list with open access journals you expect to find journals currently appearing, and only on second thought also retrodigitized journals. Curiously, the list does include not only the Romanistische Abteilung of the Zeitschrift für Rechtsgeschichte der Savigny-Stiftung, but also the Kanonistische Abteilung, a branched launched in 1910. The online issues of these journals have been digitized at Frankfurt, too, but this is a case of digitizing old issues, as for now up to 1919. Some journals in the list at AWOL do not offer exclusively articles concerning ancient law. Forum Historiae Iuris is one of the oldest online journals for legal history. Iura Orientalia does not only cover the field of ancient Oriental law, but also modern Oriental law, in particular ecclesiastical law. In fact the section on Byzantine law of this journal reminded me of two journals published in Groningen, the Subseciva Groningana (1984-), published only in print, and the Groninger Opmerkingen en Mededelingen, a journal for which only a number of individual contributions are available online in open access. What more should be said here about the remaining journals of the list? It is good to see two online journals for the history of Greek law, the Rivista di Diritto Hellenico, alas possibly damaged by malware at the moment of writing, and Dike. Rivista di Storia del Diritto Greco ed Hellenistico (1998-). When I saw the title of The Journal of Juristic Papyrology I could not help thinking of the ZPE, the Zeitschrift für Papyrologie und Epigraphik. You can check online for the titles of all articles since 1967, and this journal surely does contain contribution about ancient legal history. The issues 73 (1988) to 133 (2000) of the ZPE are now available in open access. I bumped into an article by Sir Ronald Syme, ‘Journeys to Hadrian’, ZPE 73 (1988) 159-170, My title is a tribute to a scholar who impressed me as a student with his compact style. I will try to follow his example here more than in previous years! The journal from Warsaw is available online at a special platform for Polish scholarly journals in the humanities, Czasopisma humanistyczne. However, one journal must not be left out here. A few months ago I had already spotted the surprising online appearance of the third series of the very high regarded Revue internationale des droits de l’antiquité (RIDA). This journal, published by scholars at the Université de Liège, has digitized the issues XXVI (1979) to LIX (2012). The decision to publish such recent issues of a well-known. peer-reviewed international learned journal might well be a spur for other publishers to make moves in the direction of open access. The RIDA is even present at Facebook. 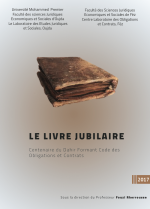 The image of the new cover shows the new publisher, the Presses Universitaires de Liège, but on the RIDA website you can still subscribe to volumes published at Paris. As for the 1,700 journal titles in the major overview at AWOL I am afraid a number of them is not in its entirety available in open access. One example: Brepols Online publishes the Revue d’Histoire des Textes, but only issues between 2006 and 2009 are to seen freely. Making a comparison with journals registered within the Directory of Open Journals is not as easy as one would expect today. You can search either by entering keywords in a search field for titles, forcing you to look for specific matters in a number of languages, or use the far too general subject filters. Even history or culture have not yet been deemed worthy independent subjects. At the start of a new year there are many days in which this sorry state of affairs can be changed, but anyway it will be useful to follow the posts labelled Law at AWOL – The Ancient World Online! This entry was posted in General and tagged Ancient law, Classical Antiquity, Epigraphy, Legal history, Legal journals, Open access, Papyrology, Roman law, Scientific journals on January 2, 2016 by rechtsgeschiedenis. Last week’s post about the digitization of old legal journals cries out for a sequel. In fact I had already some information ready to add, and since this asks for more space than just a postscript I have decided to create this short rejoinder. The German legal journals of the nineteenth century came into existence in a society where many learned journals already existed. Some websites have been created to chart the history of such journals in the eighteenth and early nineteenth century. The Index Deutschsprachiger Zeitschriften 1750-1815 at the Universität Göttingen is one of the pathways offering bibliographical access to them. In my earlier post I have mentioned the projects at Bielefeld and Berlin. At the Universität Wuppertal the Repertorium deutscher wissenschaftlicher Periodika des 18. Jahrhunderts performs similar services for the reviews of scientific works in the eighteenth century in the acts of learned societies, the Acta Eruditorum and the Nova Acta Eruditorum, and for the first scientific journals devoted to one discipline. This website offers also a short but very useful link selection to digitized journals from the eighteenth century in other European countries, such as the Philosophical Transactions and the Journal des Savants. It seems useful to mention here some websites which present nineteenth-century journals. Only a few of them are dedicated exclusively to legal history, but they certainly contain articles of interest for legal historians, depending on their research themes and predilections. Welsh Journals Online is an initiative of the National Library of Wales in Aberystwyth. On a server of the Bodleian Library you can find the Internet Library of Early Journals, six digitized English journals from a project in cooperation with other universities. The Royal Dutch Institute for South East Asian and Caribbean Studies has digitized three journals, in particular the Bijdragen tot de Taal-, Land- en Volkenkunde (founded in 1853) which focuses on the ethnology of Indonesia, and the Nieuwe West-Indische Gids (New West Indian Review) (founded 1919). Knowing about journals and tracking their contents is of course not only important for research on Early Modern Europe, but also for modern history and the present. First of all I would like to mention the Zeitschriftenfreihandmagazin created by Stuart Jenks. These “Magazine Stacks”, now at Fordham University, are an invaluable tool to search for articles in historical journals past and present, Some websites are very helpful to find out about the scientific and legal journals in a particular country. The Virtuelle Fachbibliothek Recht, a service of the Staatsbibliothek zu Berlin-Preussischer Kulturbesitz, offers among its many qualities a database for searching in legal journals. The Swiss National Library in Bern has created the Schweizerisches Zeitschriftenportal with a database for searching in Swiss scientific journals. Tidsskrift.dk is a Danish website with nine digitized journals, and links to ten other digitized journals. The German history portal Clio Online brings you not only a very rich choice of websites, but also research guides for the history of a number of countries, which often mention electronic journals. Anyone wishing to find out about American law journals should visit the website of an American law school. They almost always mention the main subscribers’ only services, including access to the well-known databases for legal journals. More amazing is the fact that some American law schools do not mention a library on their websites! The law faculty of the Universität Hannover has got a useful list of open access law journals, and a similar list is provided at Cambridge. If you like to know in advance about current scholarship visiting the e-repositories of universities is the road to choose. A number of these repositories at law schools in the North East of the United States can be searched using a meta-catalogue. Let me finish with repeating my opinion that I have probably missed some interesting journals. You are welcome to add information about them. And let me repeat also that I refrain from pointing to paid databases. If you have connections to a university or if you are a card holder of a national library you will probably have access to them thanks to the services of these institutions. From what I have gathered here and on my website you can discover lots of things outside this range. This entry was posted in Digital editions and tagged Digital libraries, Germany, Legal history, Legal journals, Open access, Scientific journals on May 23, 2011 by rechtsgeschiedenis. Talking and writing about digital libraries can be hampered by very different views about the making, form and contents of a digital library. Nowadays we take a digitized catalogue for granted, and almost every library has a website with online access to its catalogue, sometimes even to several catalogues. Some digital libraries define themselves by the variety of social media which they use. Tweets and blog posts, presence on social networks, and even link collections on a separate site are among the possible forms of virtual presence. Law libraries have joined these activities, too. For the interest of visitors of my blog I have brought together a number of blogs by the departments for rare books or special collections of some libraries with important holdings for legal history. I have often expressed my objective to track as many as possible digital libraries with content in the field of legal history, meaning digitized versions of books and other resources of a library. Law libraries themselves have to face multiple tasks and multiple forms of digitization, and let’s not forget the variety of presentation offered by the vendors of digital library programs. A law library typically offers a number of so-called e-resources, with primarily the major subscribers’ only databases with access to recent jurisprudence, sometimes also similar databases for historical books, an e-repository for the publications of the staff of the law school or law faculty to which they belong, and online access to legal journals, this also often using subscriptions by the library. Very often all these resources can be used also off campus. Law libraries face heavy expenses maintaining the number of journals on paper, but maintaining online access to them, too, is not cheap. Some law libraries offer a number of web guides, too, sometimes in great detail and on many subjects. Creating online exhibitions is also one of the ways of giving digitization its wide scope. Depending on awareness of user accessibility and user friendliness, the possibilities of a given system, the funding available and the scope and range of a law library it can be clearly indicated which parts are open to all and sundry, which ones can be used only inside the library and which also at home, sometimes even through a special law portal. Those libraries marking the accessibility of their resources or simply briefly describing them instead of only listing them deserve credit for the time and trouble taken to help the visitors of their websites. How about digital access to journals for legal history? The variety of presentation is daunting , both for the number of back issues accessible and for the wide range of their vicinity to the present. Some journals of venerable standing and a rich tradition are only offered in open access for a very limited number of years, and often only the nineteenth century issues. Other journals with a similar long history can be accessed freely thanks to the legal situation surrounding a journal: if a research institute published itself a journal less copyright issues can be expected to occur. More fundamental is the fact that articles touching legal history are not only published in the major legal history reviews but also elsewhere. It will not do to use only the mainstream journals, but you often have to get hold of a journal which you normally would not read at all. Legal journals have flourished particularly in Germany. A very welcome selection of them has been digitized at the Max-Planck-Institut für europäische Rechtsgeschichte in Frankfurt am Main. The first section is concerned with journals between 1900 and 1918, a project for a second section awaited for eagerly aims at the period 1703-1830 and will hopefully be launched in 2013 in cooperation with the Deutsche Forschungsgemeinschaft and the Staatsbibliothek zu Berlin-Preussische Kulturbesitz. There is more to be found in Germany. Klaus Graf has created a very useful list of websites for digitized scientific journals, one of the most often read posts on his Archivalia blog. The German Wikisource website mentioned by Graf provides a list of digitized legal journals, and similar lists of journals for other disciplines, for example for history. On the list of digitized legal journals you will find apart from the Max-Planck-Institut – which easily dominates this list – mainly a collection at the Universität Bielefeld, a project in which 160 journals from the period of the German Enlightenment (Aufklärung) and other relevant periodicals have been digitized, and digitized journals at the Bibliothek für Bildungsgeschichtliche Forschung of the Deutsches Institut für Internationale Pädagogische Forschung in Berlin. The general German project for the digitization of old scientific journals, DigiZeitschriften, offers only a limited number of issues in open access. Here the bulk of the journals can be accessed only at subscribing libraries or by the cardholders of such libraries. In view of the sheer number of German journals it is clear digitization is expensive, but is it not clear, too, that the phenomenon of German scientific journals dominated science during the nineteenth century, and that therefore conservation and access are important both for historians of science and for those pursuing disciplines building also on accumulated information? One has only to look at the number and variety of Jewish journals from Germany digitized at the Compact Memory website to envisage the role of journals in German society at large. One of the main gateways to digital journals in open access is offered by Lund University Libraries, the well-known Directory of Open Access Journals. Perhaps less well-known is JURN, a searchable repository for some 4,000 journals. The accompanying blog offers guidance, lots of links to similar initiatives and relevant blogs, and a general guide to free academic search. By the way, OpenDoar, the Directory of Open Access Repositories at the University of Nottingham, is not the only website where you can look for such repositories, but certainly a very useful one. The university library at Regensburg offers an electronic journal library for both open and limited access journals with an interface iu German, English and French. The World Legal Institute has on its website an International Legal Scholarship Library with access to some forty legal journals. Some countries have decided to create national repositories for the production of scientific journals. SEALS is a Swiss project which has started only recently. Persée is a project for digitizing not only older, but also more recent issues of scientific journals. Revues.org is a French organization offering online access to nearly 300 current scientific journals, with a substantial number of them containing articles not only in French. Some nineteenth-century journals and parliamentary documents in the field of French criminal law are available online through the services of Criminocorpus. Digitized scientific journals can appear in more general collections as well. The Digital Library of Dutch Literature is planning to digitize a number of journals which touch upon the history of Dutch literature, and not only journals dedicated exclusively to Dutch literature. Legal history with a Dutch view is the subtitle of my blog, and maybe it is appropriate to mention it when pointing to the websites of the International Institute for Social History and of Aletta, formerly the International Study Center for Women’s History, both in Amsterdam. Women’s history is a new subject for this blog, and although I feel ashamed I have not touched this subject before, I am happy it shows up here finally. Aletta has a fine selection of digital scientific journals on women’s history. The IISH has an equally useful selection of weblinks, foremost among them the Virtual Library Women’s History maintained at the IISH, and ViVa Women’s History, an online current bibliography of women’s and gender history. There’s more than only the Women’s Legal History website of Stanford Law School, the great Women’s Legal Biography Project at Stanford, and the IntLawGrrls blog, but today journals are my chosen subject… Surely more lists of a similar kind exist. To round-up the Dutch corner of this post a reference to a journal on Dutch history: the Royal Dutch Historical Society has digitized the years 1970 to 2010 of the Bijdragen en Mededelingen betreffende de Geschiedenis der Nederlanden – Low Countries History Yearbook. Doing legal history can among other things boil down to have to consult sometimes a very great variety of scientific journals. Nowhere is this more obvious than in the field of ancient history. The presence of a list of digitized scientific journals touching on the whole range of ancient history, from Sumeria to the Roman Empire, including the various auxiliary disciplines – epigraphy, papyrology and much more – is a witness to the proliferation of journals, more than 900 of them available to some extent or completely in a digitized form. Charles Ellwood Jones maintains this list at his blog Ancient World Online. The Institute for the Study of the Ancient World at New York University, the institution where he works, has also a Facebook page for Ancient Studies with useful announcements of new digital services, such as online bibliographies. A few months ago I wrote about digital papyrology in a post concerning the new Bibliotheca Alexandrina, and a month ago sources in cuneiform script presented in new ways figured in another post. It can offer you food for thought how scholars doing ancient history seem to embrace modern tools more and more and often to their great benefit. As for now, it seemed useful to bring the rather scattered information on digitized journals relevant to legal history together, but I am sure more is to be found. Additions to this overview are most welcome! Klaus Graf rightly points to the digitized issues of Ius Commune, the journal published between 1967 and 2001 by the MPI for European Legal History. Some articles of the journal Rechtsgeschichte founded in 2002 can be consulted online, too. It is true this post deals with two kinds of digitized journals, both older journals no longer appearing and more specific early legal journals, and with digital versions of currently appearing journals, some of them available as web-only journals – the e-journal in its purest form -, others presenting online more or less completely back issues of the paper version. There is certainly a need to distinguish between them, but all these varieties are important, either as research objects or as resources for research. This entry was posted in Digital editions and tagged Ancient law, Digital libraries, Germany, Legal history, Legal journals, Open access, Scientific journals, Women's history on May 19, 2011 by rechtsgeschiedenis.